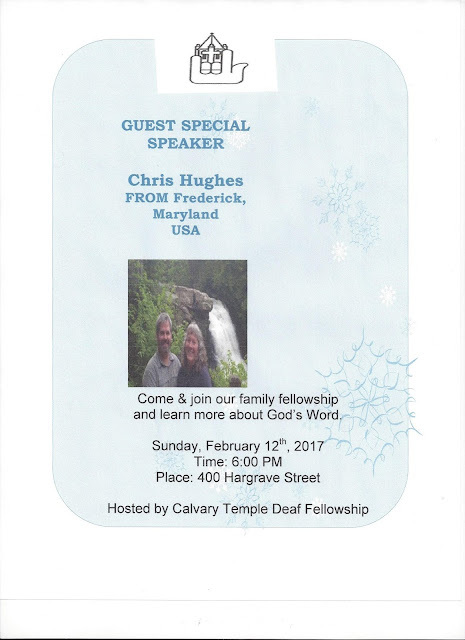 Deaf Centre Manitoba Inc.: Calvary Temple Deaf Fellowship will have special Guest Speaker - Chris Hughes- Feb 12th! Calvary Temple Deaf Fellowship will have special Guest Speaker - Chris Hughes- Feb 12th! Camp Kakepitay Ukrainian Supper- Sat March 18th! Deadline extended for 911 Survey!